Verizon's Nokia 2 V is finally here! Verizon’s Nokia 2 V is finally here! 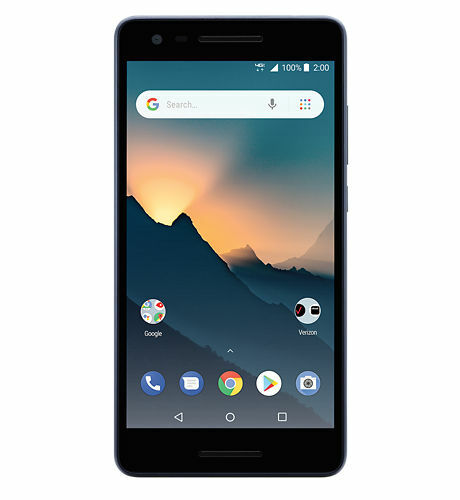 A few days ago, Verizon Wireless announced that it will start selling the Nokia 2 V on January 31st in its stores across the U.S. and directly through their website. The day has come, and the phone has come with it. Priced at a comfortable $69.99, the phone is one of the few Android Go phones being sold in the U.S. The Nokia 2 V has a few aces up its sleeve. It comes with a 4000mAh battery, which Nokia claims will keep it running for 2 days at a stretch. The screen is HD and of 5.5″ length (diagonally, of course) with dual front speakers installed, so everyday activities such as music listening and video watching are pleasurable activities. With Android Go, the phone runs smoothly, even in areas of low connectivity. On the offside, though, Verizon has only provided one of the two color options originally announced, Blue. Also, the phone has a paltry 1GB RAM, so heavy multitasking is out 0f question. Social media fans will not find Nokia 2 V the best option to click Instagram-worthy pictures from with its 8MP rear camera and 5MP front camera.